December Update: Short Stories — Michael Mitchell Jr. Exciting news! Two of my short stories have been published this month! 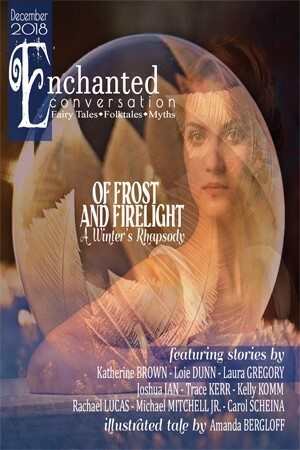 First, my story “Winter’s Majesty” is included in the December 2018 issue of Enchanted Conversation Magazine. The most exquisite, colorful tree in the entire realm fears that all beauty will completely disappear when winter arrives. What will happen when she falls asleep? You can read it here! Winter Digest: Fables and Fairy Tales. When a young wizard’s apprentice is sent on an errand to the ominous Oak Circle, she is faced with a difficult choice when the Oak Elder presents the true nature of her task. What will she choose? You can purchase a copy here! Thanks so much for reading! I’m thrilled that my stories have found homes, and I’m excited to share them with you!